Cable scores 25, No. 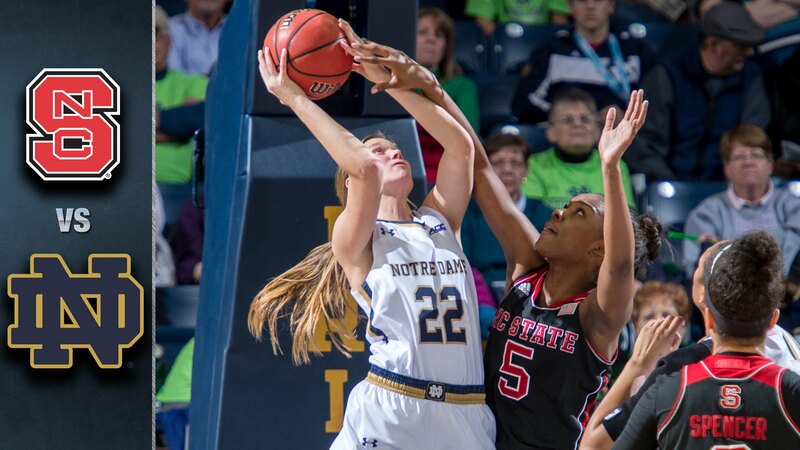 3 Notre Dame defeats NC State 82-46 - Women's College Basketball - Are You Watching This?! SOUTH BEND, Ind. (AP) Madison Cable put North Carolina State on the ropes by scoring 13 of Notre Dame's first 19 points and Brianna Turner knocked the Wolfpack out by scoring 10 points in the third quarter, including four straight baskets. The Irish outscored North Carolina 29-10 in the third quarter en route to an 82-46 victory on Thursday night, the most lopsided loss of the season for the Wolfpack. Cable was the one doing the most damage, scoring on fast breaks, slashing through the land, hitting from her usual spot outside and going 7-of-7 from the free-throw line to match her career high with 25 points in 27 minutes of play. Cable, who was 8 of 12 from the field, credited it to a bit of luck, saying more of her shots fell. The Irish (22-1, 10-0 Atlantic Coast Conference) broke the game open when Turner, who finished with 14 points, scored on back-to-back layups to spark a 12-0 run late in the third quarter. Cable capped the run when Turner jumped to catch a high pass under the basket and passed to Cable in the lane, who drove in a for a three-point play when she was fouled. McGraw was happy to see the offense in sync against after struggling in recent games. The Irish shot 53 percent for the game, outscoring the Wolfpack 42-20 in the paint. The Irish defense smothered the Wolfpack (16-7, 7-3), holding them to 33.3 percent shooting and forcing 24 turnovers. The Wolfpack were just 2-of-18 on 3-pointers. ''We rely on the 3 quite a bit. You could say we live and die by the 3. Tonight we died by it,'' Moore said. Miah Spencer led the Wolfpack with 13 points and Dominique Wilson had 11. 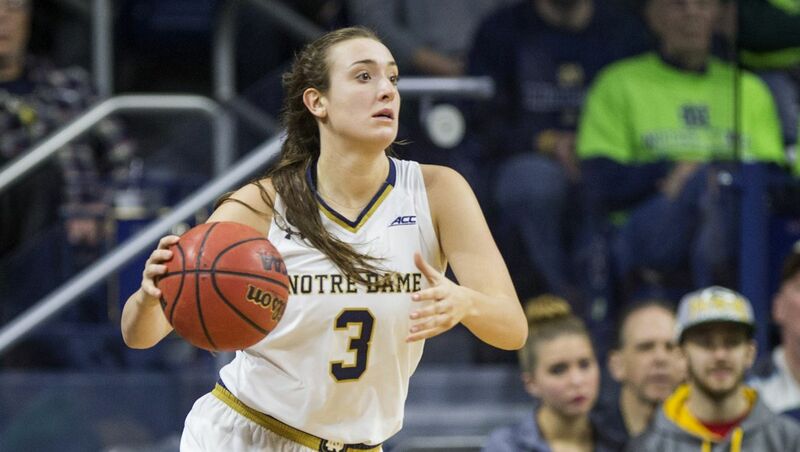 Marina Mabrey scored 11 for the Irish Arike Ogunbowale and Lindsay Allen had 10 points each. Allen added eight assists. McGraw said the Irish are continuing to improve defensively. North Carolina State: The Wolfpack's last win over a top-five team came against No. 5 Duke in the ACC tournament four years ago. Their last road win against a top-five team came against No. 2 Old Dominion in 1985. ... The Wolfpack fell to 0-5 against the Irish. ... It was N.C. State's first trip to South Bend, the last ACC team to make the trip. Notre Dame: The Irish have won 25 straight at home, tying for the third-longest streak in school history. The record is 51 straight set from 1998 to 2002. ... Allen made her 100th straight start, extending her school record. The junior has started every game since arriving at Notre Dame. ... The Irish have won 31 straight home games against conference opponents, dating back to when it was in the Big East. The record was set from 1998 to 2002. North Carolina State travels to Wake Forest on Sunday. Notre Dame plays at No. 13 Louisville on Sunday.